Penguin Basements | Learning isn’t restricted to the classroom. 05 Sep Learning isn’t restricted to the classroom. Whew! The kids are back in school, and now that the home is little more quiet it’s time to look after yourself. Maybe you’re thinking of taking a class to invest in your interests or broaden your own horizons. Or maybe you are one of the lucky people that have the option to work from home several days a week. A home office, or a quiet study area can be an indispensable resource in either case, increasing the probability of success for study or career advancement. Obviously you’d expect Penguin Basements to recommend adding an office to your basement renovation plans. But it might not be that simple. If you’d prefer your office to be upstairs on the main floor, or in a converted bedroom so you can gaze out the window at the world for inspiration, you may want to consider relocating a bedroom, or TV room downstairs instead. In any case, unfinished basements are generally a huge area of wasted space. Let us show you how to get the most out of it, maximizing storage, living space, and even income. 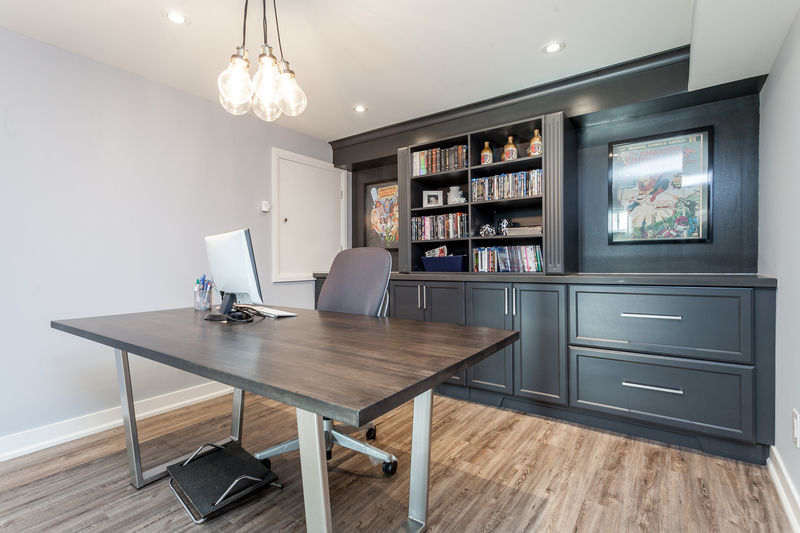 By finishing and remodelling your basement, you—in effect—add a whole new functional floor to your home, meaning there’s plenty of space for a home office for you, or homework station for your kids and maybe even a lovely little retreat, games room or home theatre as well. The really is no better time to consider adding your wasted basement space to your living space than in the fall, especially as the winter means you’ll all be spending more time inside. You enjoyed the kids being underfoot all summer, right?